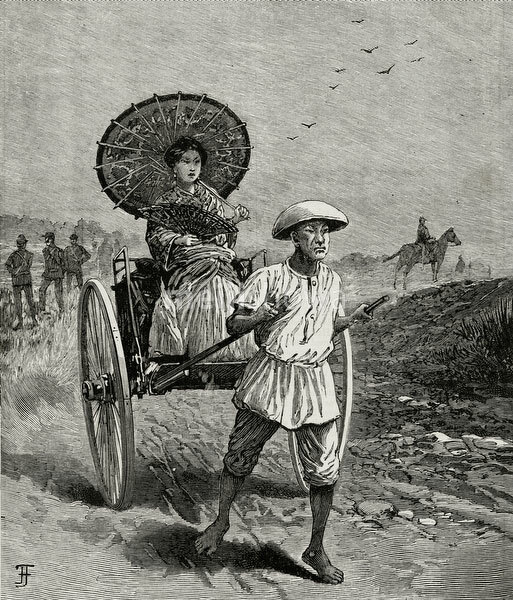 A woman, holding a fan and parasol, sits in a fanciful representation of a rickshaw. The rickshaw puller in front is wearing clothes that look more Chinese than Japanese. Published in the weekly British paper for children Chatterbox in 1894 (Meiji 27).